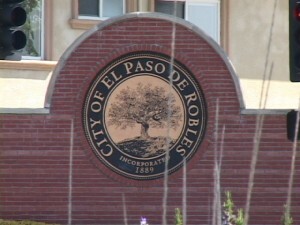 The Paso Robles Police Department received several calls about the distraught teen. Around 5:20 p.m., officers found the teen sitting on the edge of the bridge over the Salinas river. When police approached the teen, he asked for his family. Officers then contacted the teen’s family members and spent about an hour trying to convince him not to jump. Lt. Ty Lewis said family members, as well as five officers, managed to grab the teen before he was able to jump. They pulled him to safety, Lewis said. The teen was taken to San Luis Obispo County Mental Health Services to receive treatment. Thank you to the PRPD officers who helped this family; we should remember these types of stories the next time we read a critical atory about the police. They are not perfect, but they not not Nazis either. I hope this young man gets the care he needs and the family fonds some relief from the strain they must be under right now. Can’t imagine being a teen these days. But I have been there. It’s a very scary world sometimes. I hope he gets the help he needs. Water ??????? whats that ????? Impressive how you were able to inject your personal gripes and opinions about a water issue into a story about a despondent teenager contemplating suicide.